Want to Make New Connections with People in your Field ?! Do you have Difficulties with your Research ?! Didn’t Have Enough Time to ask your Questions ?! Don’t Know How to Start a Conversation ?! This Year in Miami ! Florida International University in the beautiful city of Miami. 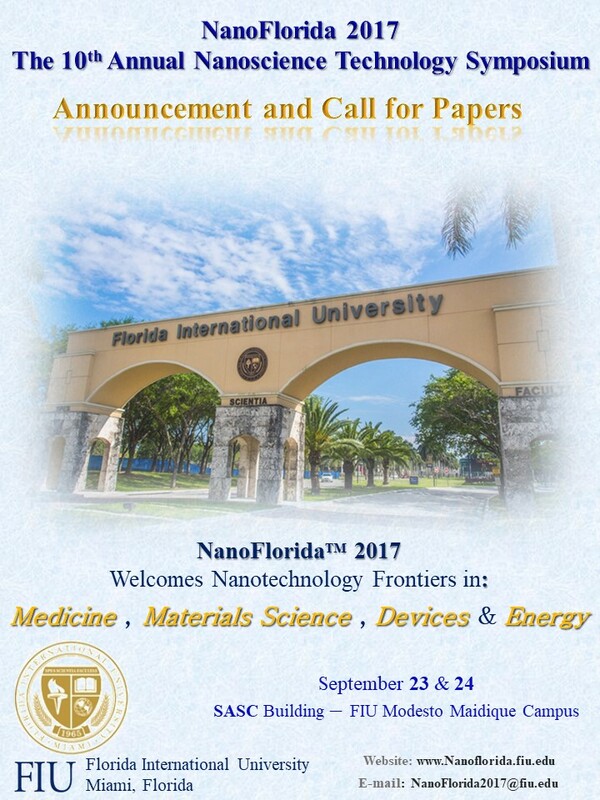 The 10th Annual NanoFlorida Conference will be held September 23rd -24th at Florida International University’s Student Academic’s Success Center (SACS). 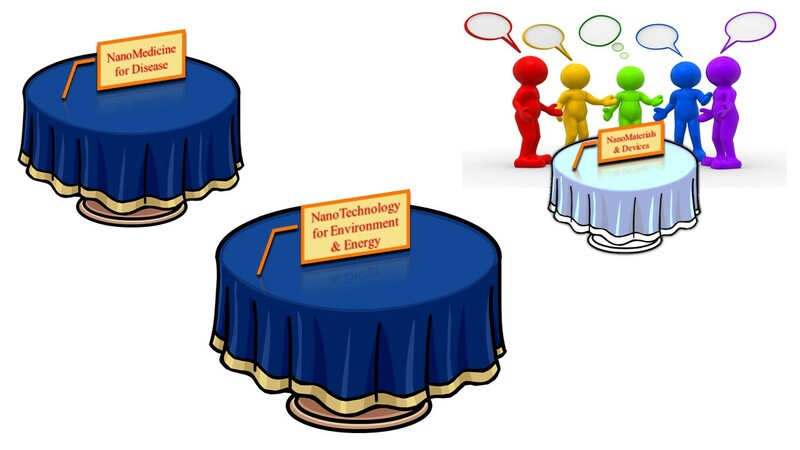 Designed for all young scientists in the field of nanotechnology and its applications, our agenda is filled with outstanding programs from exceptional young keynote speakers, oral presentations in a vast variety of topics covering nanotechnology and exciting scientific exchange workshops for the nano-scientists of the State of Florida. We are proudly presenting our previous students as today’s Key-note speakers, sharing their success stories post-graduation. In addition to the wonderful informational sharing between young scientists and their related network, this year will focus on three major topics and areas as well as their interdisciplinary studies: NanoMedicine for Disease, Nanomaterials and Devices, Nanotechnology for Environment and Energy. Attendees will also have the opportunity of attending several Keynote speaker’s talks and Oral presentations as well as a long line of state of the art posters in the field of Nanotechnology. We’re taking advantage of a great opportunity to celebrate our annual gathering in the gorgeous city of Miami, with the option of Kayaking at the Key Biscayne campus, another campus of Florida International University. Or, you can enjoy the many shops and restaurants that the Ocean Drive or your residential hotels have to offer while spending time here. We look forward to welcoming those of you who will be joining us for the first time as well as our previous years’ attendees. Let’s make sure everyone gets the full experience of NanoFlorid2017 annual conference. We are grateful for our colleagues, committee and faculty advisors who have worked so hard and shared their talents and expertise to put this conference together for all of us. We hope you will come and enjoy the programs, the people, and the extracurricular activities that will make the weekend one to remember! 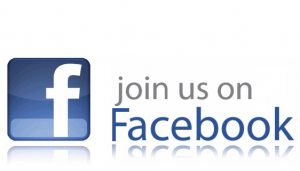 So, bring your smile, your camera, and a great will to share, and come join us – We look forward to sharing it all with you! You may register Online through our Registration tab.